The trained educators who teach music in grades K-12 have passed the Praxis II Music: Content and Instruction (5114) Exam. The test assesses the beginning educator’s ability to teach this subject. The test contains four content areas, and this guide will walk you through them. 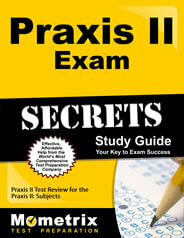 Candidates pay a $146 exam fee to take the Praxis II Music: Content and Instruction (5114) Exam. The test contains 84 selected-response and three constructed-response questions. How much time do I have to finish the test? Candidates have two hours to finish the exam. The exam is divided into a 95-minute non-listening section and a 25-minute listening section. What are the categories on the Praxis II Music: Content and Instruction (5114) Exam? Music History and Theory focuses on musical style and historical significance in several musical periods including baroque, classical, and romantic; music characteristics including melody, tempo, forms, and genres; understanding scales, modes, and tones; concepts in music theory, including voicing, keys and clefs; and variations of musical sounds based on instrumental timbre and voices. Performance asks candidates to demonstrate listening skills though pitch, instrument and voice intonation, and rhythm; understands conducting techniques, including beat patterns, cueing, and baton use; interpreting musical symbols for pitch and rhythm; warm-up techniques like breathing, scales, and stretching in both instrument and voice; and understanding how acoustics impact performance in areas of tone quality, sound production, and frequency. Instruction, Professional Issues, and Technology includes musical teaching techniques for different class settings, such as performance classes, individual lessons, and small groups; techniques for managing a classroom, including planning, procedures, and motivational techniques; the ability to modify instruction for students with different needs, whether they be physical, behavioral, or gifted; caring for instruments and materials; understanding improvisation; and understanding music theory and history, as well as musical elements like harmony and melody. Instructional Activities. This is the constructed-response question. Candidates will be given questions in three areas: instrumental, vocal, and general music instruction. Praxis tests are delivered via a private test company. The company has hundreds of offices across the United States. Check the Praxis website for the location nearest you. When you receive your results depends on the test you take. Some results are available as soon as the test is complete, while other results take 10 to 16 days after the exam’s completion or after the testing window closes. It’s best to check the Praxis website for specifics. 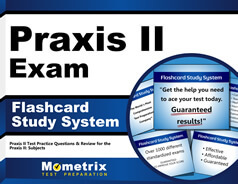 What is the test passing score for the Praxis II Music: Content and Instruction (5114) Exam? Passing scores are not set by Praxis. They’re set by the state or institution that requires the exam. You’ll need to check with your local regulatory agency. Please bring a driver’s license, passport, or another piece of government-issued identification. You’ll also need to bring your admission ticket. To be safe, consider bringing a piece of supplemental identification, like a student ID. What time should I arrive at the test center? You should get to the test center at least 30 minutes before the exam’s start time. No. There is a lengthy list of items candidates are not allowed to bring into the testing room. That includes electronic devices and certain clothing items. You should consult the test center rules for a complete list. I’m worried about this test. What are the best materials I can buy? Mometrix has the best study materials you can buy. They’re created by professionals in the test-taking field. Our study guide will walk you through areas of the Praxis II Music: Content and Instruction (5114) Exam that give test takers the most trouble and show you strategies to find the right answers. Our flashcards are fantastic materials to help you study on the go. They’re portable with easy-to-understand answers to questions. These are the study tools you need.